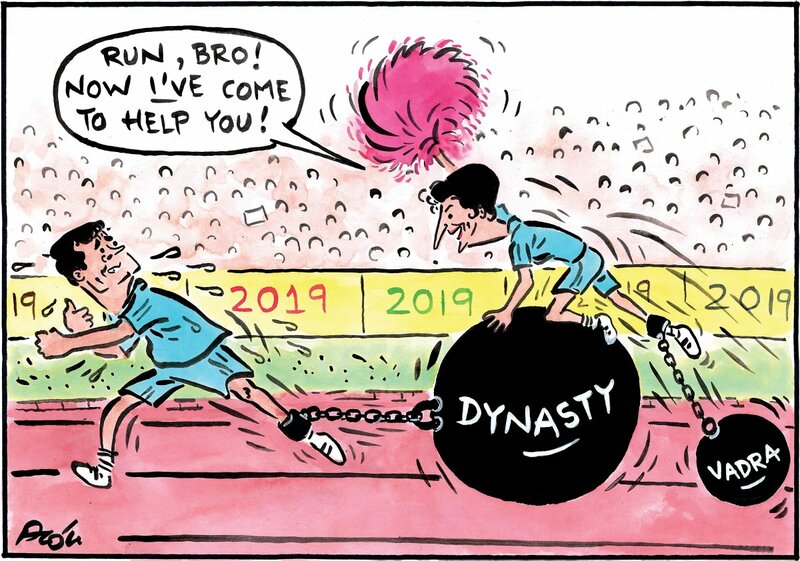 Alok for Sakal Media Group weighs in on the entry of Priyanka Gandhi Vadra into active politics, suggesting that she is not entering the poll season without her own baggage. 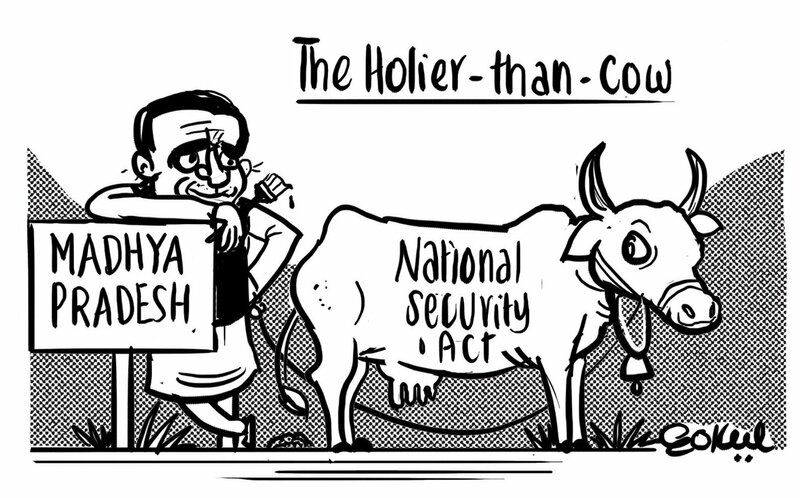 In The Asian Age, Gokul Gopalakrishnan takes a jibe at Madhya Pradesh Chief Minister Kamal Nath invoking the National Security Act against three men accused of cow slaughter. 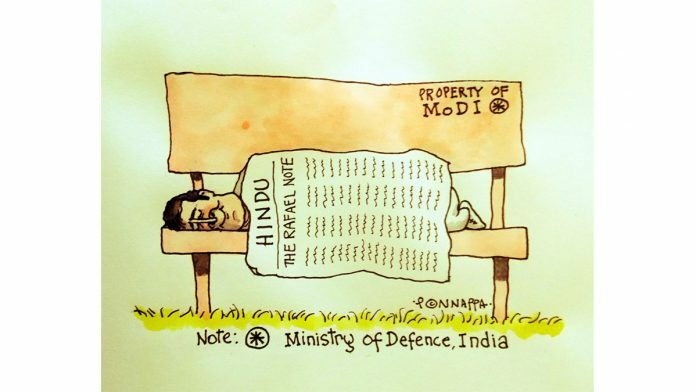 Nath has been courting a lot of criticism for the decision, which critics say is no different from the cow politics the Congress criticises the BJP for. 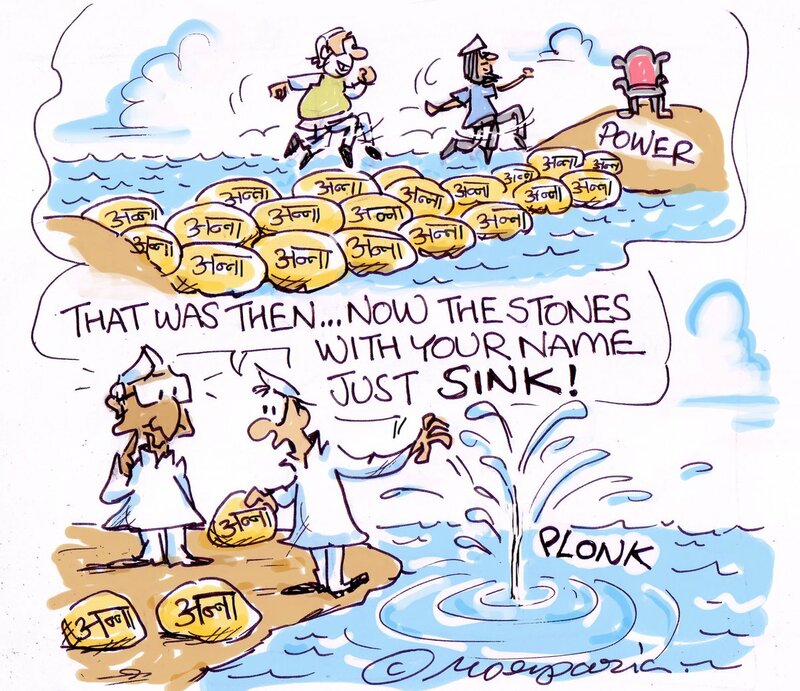 Hemant Morparia weighs in on social activist Anna Hazare’s retreat from political prominence. Hazare’s 2011 anti-corruption campaign is said to have played a major role in bringing the BJP to office at the Centre, while also serving as a springboard for the Aam Aadmi Party (AAP). 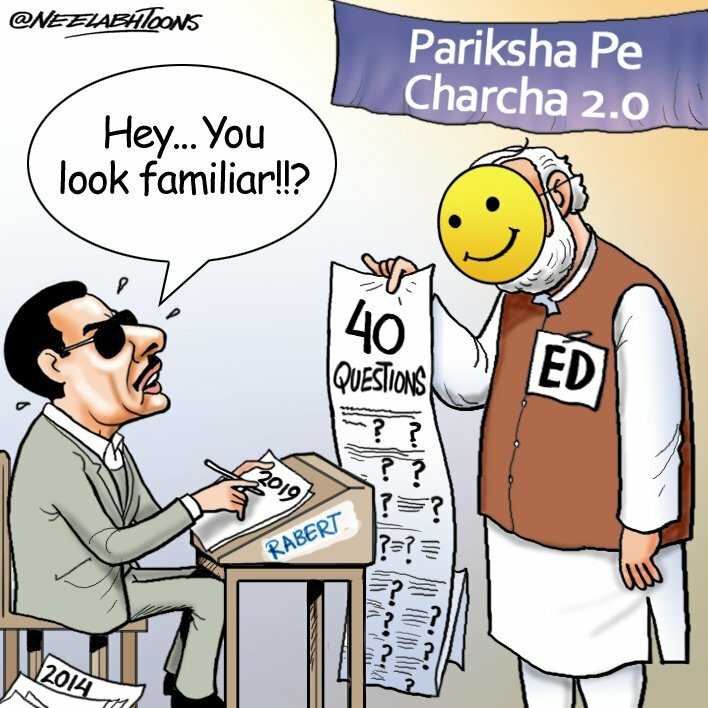 Neelabh Banerjee weighs in on the political implications of businessman Robert Vadra’s interrogation by the Enforcement Directorate over allegations of money laundering, which comes months before the Lok Sabha elections. 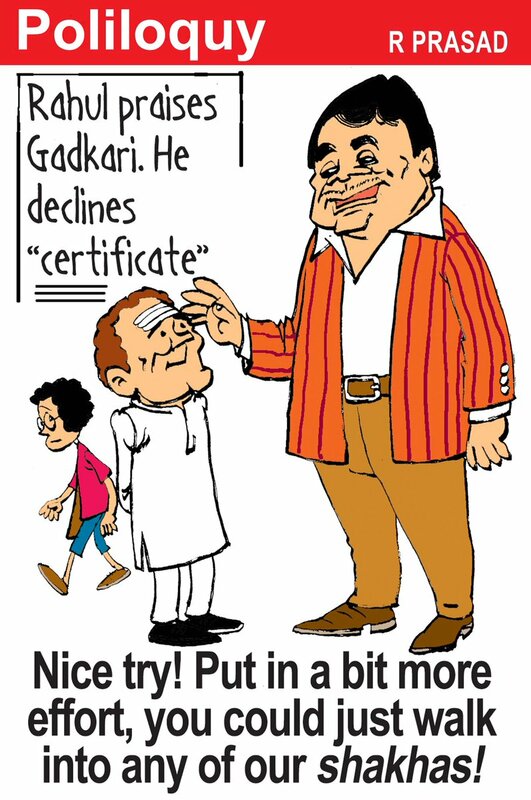 In The Economic Times, R. Prasad takes a potshot at Rahul Gandhi and the Congress’ perceived shift towards Hindutva politics. 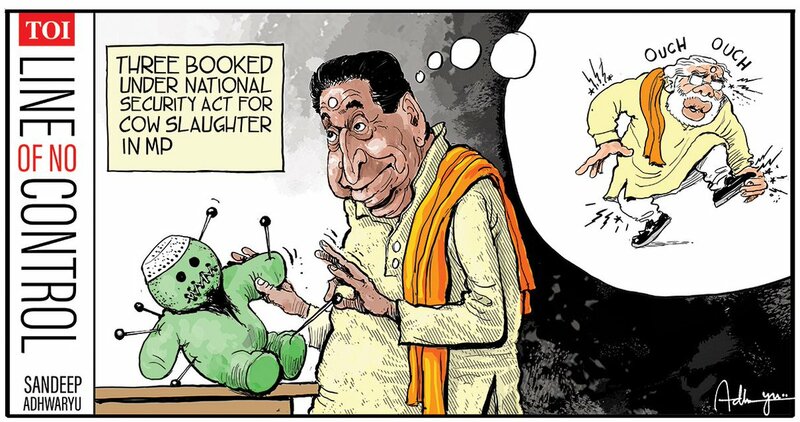 In The Times of India, Sandeep Adhwaryu also weighs in on the Madhya Pradesh government’s decision to slap the National Security Act on three Muslim youths accused of cow slaughter. 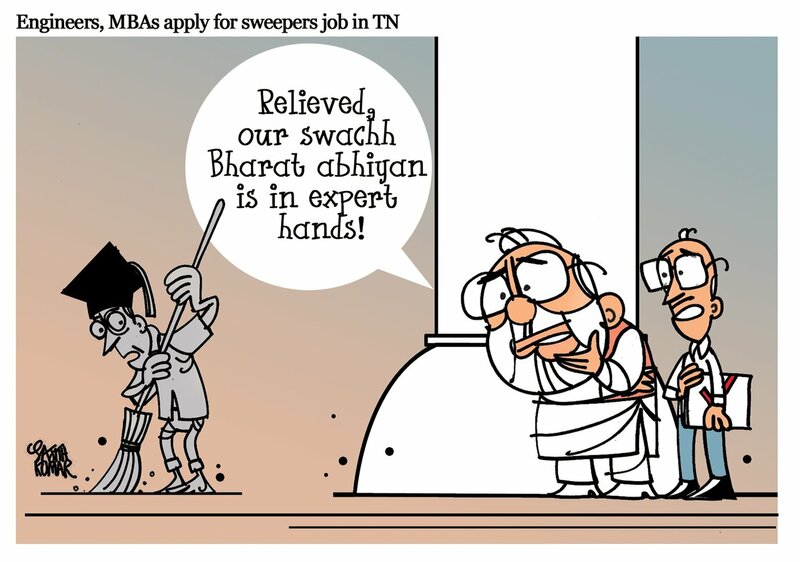 Sajith Kumar | Deccan HeraldSajith Kumar notes the despondent jobs scenario, which recently saw youths with M.Tech, B.Tech and MBA degrees applying for the posts of sweepers and sanitary workers in the Tamil Nadu Assembly Secretariat.